Take the stress out of moving and let the experienced team at Gigantic Moving & Storage safely transport your household items to scenic Olympia, Washington. This bustling capital city is nestled between the beautiful southern tip of Puget Sound and the snow-capped Olympic Mountains. It attracts new residents from around the country with its natural beauty and easy lifestyle. Getting here doesn’t have to be a hassle when you choose our team of experienced local movers. Whether you’re moving from a small studio apartment or a large house, our team of trained professionals are happy to help you. A moderately sized city, Olympia is the ideal place for those who love the outdoors but still want easy access to urban amenities. The larger cities of both Seattle and Portland are just a quick drive away to satisfy any big city cravings you might have. Our movers love the city and surrounding area and live here for many of the same reasons you do. On any given day you will see the residents of Olympia taking advantage of the area’s fine dining, green parks, hiking trails, and wide range of local markets. The locally and sustainably caught seafood is a favorite among the friendly community and is available year round. Olympia truly has it all and you will love calling it home. Our Olympia City movers will get you moved into your new home in no time, so you can spend your time enjoying the beautiful Pacific Northwest. On your first clear Sunday, make sure to go sailing on Budd Inlet or simply relax on a bench overlooking Capitol Lake. 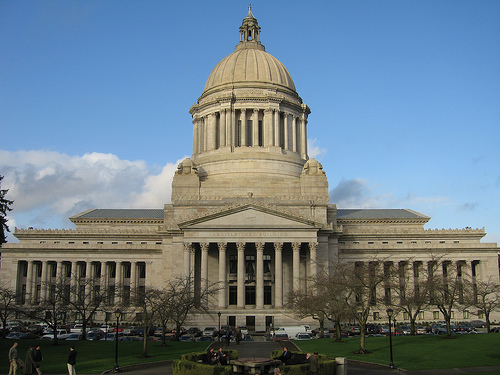 Washington can be your escape and Olympia puts you right at the center of the action. Don’t risk starting off this new phase of your life poorly by hiring a cut rate company. We understand that every move is unique and strive to meet every customer’s specific needs. As a full service Olympia moving company, we come equipped with all the right tools to get the job done right. Rest easy while our team of experts arrive in a large truck equipped with dollies, appliance straps, moving blankets, shrink wrap, and more. Make sure that your next local move is as stress-free as the Olympian lifestyle by choosing the experienced team at Gigantic Moving & Storage to handle your next move. Give our office a call today and we will be happy to set up your move and answer any additional questions about moving you might have. Moving doesn’t have to be a pain when you choose Gigantic. Find out more about your new community at Olympia Gov.